Repux! Start to Earn your personal data. Many businesses and entrepreneurs keep a lot of data that just keep on their media and few can find the optimal solution for effective utilization to increase the level of your higher and achieve even more higher results. This problem greatly hampers the development of these industries, if to remove it, it will bring billions of dollars in profits. For example, Facebook, like all such services, studying your behavior on the website to make the website more convenient (at least it is supposed to). For example, to raise the profile of the person with whom you most often communicate with, on top of the chat list. Or to tell who is pictured. In addition, these data need to advertisers to better offer you products and services — focusing on gender, age, country of residence and interests. Also information is used for safety: in case someone wants to start an account under your name. And again: the personal data transferred to research firms, without names and surnames — it’s not possible to identify you. In addition, Facebook provides data on requests of government agencies, if it considers them reasonable. So many social networks and search engines earn on your personal data, but it can be stopped thanks to blockchain technology and project Repux. Repux platform will be a unified user database, and to combine several well-known decentralized technologies such as Ethereum, Sia and Eos. All this combined will give greater speed of transmission and data exchange between participants of the platform, ordinary users, businesses, online services. That is, for your information, you will receive the reward token and provide it only to those who you want. Everything will be separated and sorted with the help of an artificial intelligence. This eliminates many of the intermediaries in the payment transactions will be low fees. There will be a selection of the best manufacturers, having quality information about their products and services. It is a global market information where you will be able to get the reward for it is just a dream for every person who wants to earn in life, and to put the full stop in how to steal a websites our data get billions of dollars. All will be easy and convenient on a mobile app, because we are almost every day never part with it, it becomes us not only a communication tool, but also a good purse. The more cryptocurrencies increasingly part of our lives and many do in this state. On the Pre-sale will be sold 500 million tokens. You can also participate, but will need to get verified and to be qualified investor. The blockchain technology helps to record large amounts of information into a single “book” and allows only you to access it unless you allow others to do so. Your information will now be used only with your knowledge and all will be at the same time safely, transparently and openly. According to the question, gold in the modern digital economy. Small and large enterprises rely on data to access targeted support, product development and business development, but large data sets will take time. In addition, small and medium-sized enterprises (SMEs) do not have access to a dataset such as Amazon, Google and Facebook. On the other hand, SMEs tend to prefer a data set that is smaller, and is particularly useful for developers and other companies, but in the modern digital economy there is no mechanism that is safe and effective for monetization in exchange for their information. Thrust of SMEs (medium enterprises) to exchange data with developers through the use of the RepuX price tag. Developers and other interested parties can be assured of the quality of the RepuX data collection platform, because of the reputation rating determined by the buyer’s data, and we can give a reputation in every country and every transaction and verification in the system, we can guarantee the integrity of the protocol and the quality of the data that customers buy. Data that can be created on the Internet indicate parameters about what everyone is looking for on the Internet, how we interact in a network that an enterprise can group these data to find a solution in the market for users who have actively requested a product or services, it’s just awesome! Having a huge set of data that can actually be very complex and do not have the tools necessary to develop solutions and interact people online can be a challenge! But not for Repux! The company will allow small and medium-sized enterprises to sell this set of data developers just to combine a lot of data and provide solutions in the network. 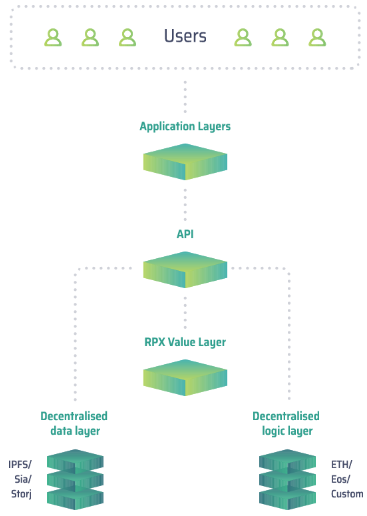 The structure of the Repux protocol is divided into 4 levels. At the first stage there are user applications. The creation of such software is the competence of third-party developers. Relative to Repux, this is a third-party development, for their creation requires the API platform. The second layer is the data access layer, located on Repux. This information is stored using a decentralized infrastructure, which ensures their security. The third layer provides logical processing of information. It can be built outside the classical Ethereum architecture. 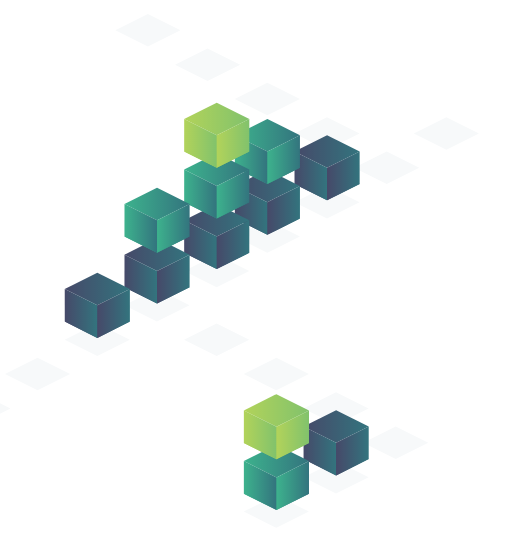 One of the goals of Repux developers is to check whether it is possible to use EOS (a configurable Blokchain infrastructure) within the project. The last, fourth level contains multi-signatures and other cryptographic primitives. Thanks to them, the right of ownership of users to information and its joint application by several clients is realized. Improved repeat sales statistics. On Repux, owners of sites for online trading can sell information about the activity of users who have made purchases. Based on this information, sellers can determine, how many days after the purchase is best to send coupons for re-sale. Use of these scientific institutions. Scientific institutions are a storehouse of useful information. It is not used by institutions, but is of interest to creators of artificial intelligence. By training it with the help of paintings by artists of the past, developers achieve significant results in a short time. Assistance to companies using neural network models. Already today there are start-ups that reduce the costs of their customers with the help of artificial intelligence. 75-80% of their expenditure is the collection of information. Using Repux, they can immediately receive the necessary information and process structured volumes of data. After completing the ICO, unsold tokens are burned. ICO Repux is an interesting token that you should pay attention to. The development team took up solving one of the most pressing problems of modern business. When searching for and improving new technologies, 90% of information is unnecessary and stored, not bringing benefits. Thanks to Repux, companies will be able to sell it and get additional profit.